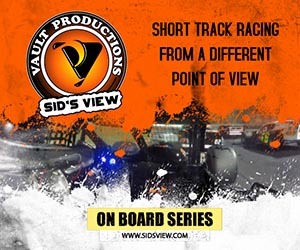 (Stafford Speedway press release – Stafford Springs, CT)—Tom DiMaggio of Vault Productions has announced a new reality show that will follow four of Stafford Speedway’s SK Modified® weekly competitors on their journey through the 2019 race season. 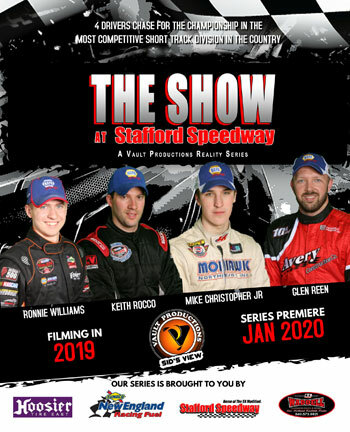 The reality series, dubbed “The Show”, has begun filming and will follow drivers Mike Christopher Jr, Keith Rocco, Ronnie Williams, and Glen Reen through the 2019 SK Modified® season at Stafford. Watch the extended preview episode below. 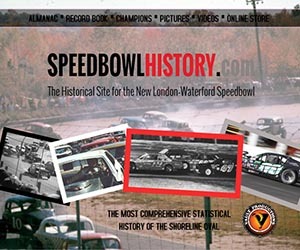 “We wanted go deeper and tell the stories of weekly SK Modified® racing at Stafford,” explained Tom DiMaggio of Vault Productions. “Last year the On Board Series came out great but in filming we realized that there is a story to tell at Stafford. From the race shop to on track racing, we’ll follow rivalries and hear what drivers and crews were thinking. Our first mini-episode will air Tuesday, March 19th at 6pm on YouTube and Facebook and will be a good glimpse at what the full series will look like when it airs next offseason.” “The Show” will air an extended preview Tuesday March 19th, introducing the drivers and the new web series. The four drivers to be showcased in the series won a combined 16 SK Modified® races during the 2018 season with youngster Ronnie Williams winning his first SK Modified® track championship. The Stafford SK Modified® division, noted as one of the toughest weekly asphalt divisions in the country, had 7 different winners last season and 42 different drivers compete in an event. 2019 is shaping up to be more of the same with nearly all of the drivers finishing in the top-20 in points last season returning to weekly competition. “Figuring out how many drivers we could cover was a challenging process,” continued DiMaggio. “You have to not only look at their accomplishments on the track but their personalities off the track and the dynamics of their race team. We think we have four unique personalities that will provide us with entertaining content throughout the season. Hopefully the race fans enjoy the series and we can showcase more drivers in 2020. I want to thank all the sponsors who have stepped up to get this project off the ground and my incredibly dedicated crew for all their hard work.” DiMaggio says almost all of his Vault Productions crew who have worked with him for close to a decade will be involved in this series, as well as Stafford competitor Sean Foster. “Sean and I work well together. We have a great synergy bouncing ideas off each other.” The Show adds a new component to Stafford’s digital content focus that has grown in recent years. Currently Stafford produces weekly recap videos and post race driver interviews that air on Facebook following each race night in addition to pre race content with drivers and crews also airing on Facebook. Weekly on race nights, Stafford Speedway’s Instagram account hosts driver takeovers which has quickly become a fan favorite. Additionally, Stafford’s Twitter page posts live replay feeds allowing race fans to access real-time replays directly following any on track incidents. “Our goal is to create a full experience that doesn’t start and end with on track action,” explained Paul Arute, digital content director at Stafford Speedway. “We want to give the race fan an opportunity to see the full story, get to know drivers, and have more access to everything Stafford Speedway. 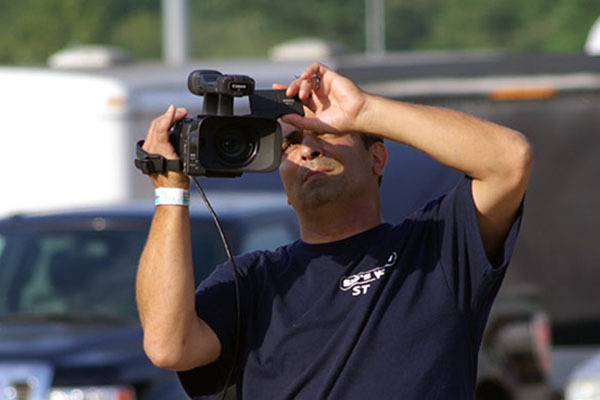 Tom and his team produced some excellent in-car videos last summer with the SK Modified® division. This new web series will be one to look forward to. We were able to catch a sneak preview of the extended preview airing this week and the production is first class. 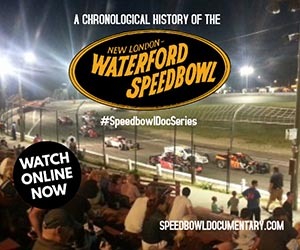 This is the exact type of behind the scenes content we have been looking to add to the mix on our digital channels and we want to thank Tom and his team for showcasing Stafford and the SK Modified® division.” The web series is supported by local racing partners Waddell Communications, Hoosier Tire East, Sunoco Race Fuels as well as Stafford Speedway. “The Show” will air in January of 2020 and will begin filming at the 48th Annual Spring Sizzler.